Ginkgo trees lining a path. Dietary supplements are big business. They are promoted for all sorts of health benefits, including weight loss, memory enhancement, body building, and cancer prevention. Many of the claims featured on websites and product packaging are not true, but that doesn’t seem to stop supplement makers from promoting them. Unlike drugs, supplements are not regulated by the FDA. With drugs, the FDA requires that they be both safe and effective, but with supplements, they can only take action when products are tainted in some way, or when supplement makers cross the line and make specific claims about curing disease. When they do cross that line, all the FDA can do (in most cases) is issue a stern warning and tell them to stop making false claims, which has little effect. In an effort to educate the public, the FDA regularly issues warnings such as this one, telling consumers to “beware of products promising miracle weight loss,” but supplements continue to sell briskly. 1. Ginkgo biloba. 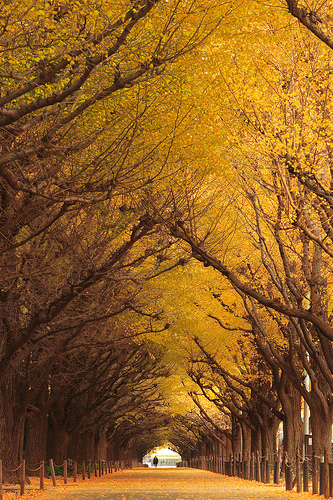 Ginkgo biloba extract is made from the leaves of a beautiful tree that is native to China. It is widely advertised as a supplement that can enhance memory, stave off dementia and Alzheimer’s, and treat other conditions. I found it available from many vendors, including Target, Whole Foods, CVS, Walgreens, and others. Alas for any hopeful consumers, ginkgo biloba doesn’t work, as scientific studies have repeatedly shown. A recent meta-analysis of 28 different trials looked at its effect on memory, executive function, and attention, and found that it had zero effect on any of these functions. Nonetheless, web vendors such as Zooscape.com continue to promote ginkgo as a treatment for dementia and Alzheimer’s, despite having received a warning notice from the FDA stating that their advertising violates the Food, Drug, and Cosmetics Act. The FDA letter, dating from 2010, stated that ginkgo biloba is “not generally recognized as safe and effective” for dementia or Alzheimers, but the Zooscape website still claims otherwise.. According to Consumer Reports, multiple studies since then have all reached the same conclusion: it doesn’t work. Garcinia cambogia’s popularity took off after Dr. Oz promoted it on his TV show in November 2012, where he called it a “revolutionary fat buster." This episode, which has now been removed from the Dr. Oz show website, was the subject of a U.S. Senate hearing led by Sen. Claire McCaskill, who sharply criticized Oz for promoting products that aren’t back by science. Said McCaskill, "I don't know why you need to say this stuff, because you know it's not true." Sorry, but no: you can’t eat like a gorilla and lose weight. At least not like a healthy gorilla. 3. St. Johns wort is a flowering plant that some people use to treat depression. In this respect, it’s in a different category from the other supplements in this list, which are used for physical rather than psychological conditions. A double-blind, randomized, placebo-controlled trial of St. John’s wort as a treatment for major depression was published in 2002. This type of study is the gold standard for science-based medicine, and produces the most reliable results. The conclusion was clear: St. John’s wort performed worse than placebo, and the authors concluded that St. John’s work is not effective for major depression. This might have settled things, but studies continued, and in 2008 a review article came to a different conclusion, finding that St. John’s wort was better than placebo for major depression. Even more recently, a 2011 study looking at minor (rather than major) depression found, just like the 2002 study, that St. John’s wort offers no benefit. Despite these dangers, you can buy St. John’s wort anywhere: it took me mere seconds to find dozens of choices. If you’re thinking about trying it, follow NIH’s advice and consult your physician first. To finally resolve the question, NIH conducted a large $12.5 million study called GAIT, which compared glucosamin, chondroitin, celecoxib (an NSAID), and placebo. The conclusion: the only treatment that worked was celecoxib (Celebrex). In a small subset of patients with moderate to severe pain, there was a hint of a benefit for glucosamine-chondroitin, but it wasn’t significant. For patients with mild pain, only celecoxib worked better than a placebo. So the door isn’t completely closed for this supplement: it clearly doesn't work for mild pain, but for moderate to severe pain, it might offer a small benefit, although an NSAID is better. Of course, there’s no hint of this uncertainty in the advertising I found. For example, Puritan’s Pride says their pill “nourishes joints to improve flexibility, supports connective tissue in and around the joints," and "promotes healthy cartilege." Of course, the very bottom of their web page has a disclaimer stating that "these products are not intended to diagnose, treat, cure or prevent any disease." Oh, so why exactly should anyone purchase them? 5. Echinacea. Echinacea is a flower, similar to a daisy, that is widely used to treat the common cold. Apparently this got its start when a Swiss herbal supplement maker was erroneously told that Native American tribes used it as a cure. Regardless of the source, the use of echinacea grew, and it has now been subjected to multiple scientific studies. What does the science say? In 2003, a randomized, placebo-controlled, double blind trial published in JAMA – again, these are the gold standard for scientific evidence – found that echinacea was not effective for treating colds in children aged 2-11, and that it appeared to causes rashes in some of them. Another study, also a randomized, placebo-controlled, double-blind trial, looked at college students, and found again that echinacea didn't work for them either: "echinacea provided no detectable benefit or harm in these college students who had the common cold." More recently, a 2014 review concluded "Echinacea products have not here been shown to provide benefits for treating colds." Not surprisingly, though, everyone sells echinacea. The NatureMade brand just says "supports immune system health" (a vague claim that the FDA doesn't restrict). Puritan's Pride's label says the same thing. The Dr. Oz website doesn't sell echinacea, but an article there by Tod Cooperman claims that "echinacea can help you get over a cold faster and reduce symptoms." Zooscape is even bolder: it sells an echinacea tea that it advertises with the phrase "colds and flu be gone!" Save your money. If you have a cold, echinacea won't help. I have it on very good authority, though, that chicken soup works wonders.